We are thrilled that in December 2018 the Santa Clara County Board of Supervisors approved $19 million in Measure A Affordable Housing Bond financing for a much-needed new 100% affordable development in the Blossom Hill neighborhood of San Jose, proposed by Charities Housing. Blossom Hill Senior Apartments will provide 147 new affordable homes for seniors 62 and older. Resident incomes must fall in the Extremely Low-Income (ELI) or Very Low-Income (VLI) category (a one-person ELI household earns no more than $25,080 a year, and one-person VLI household earns no more than $41,800 a year). The development also includes supportive housing for 49 seniors who have formerly experienced homelessness. The development will incorporate supportive services to enable older adults to maintain independence. 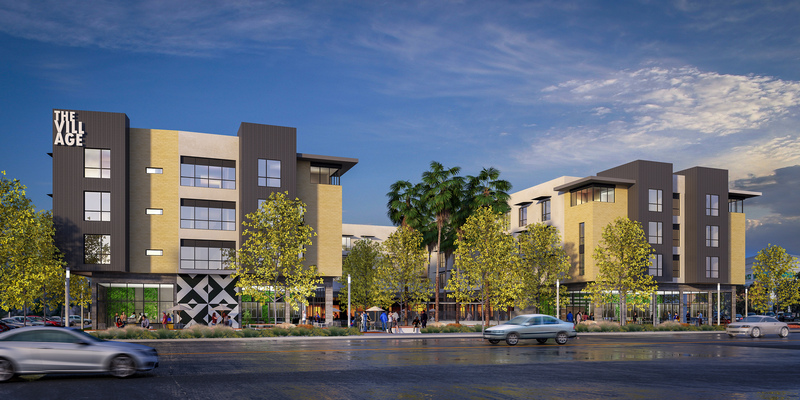 Located in the Blossom Hill/Snell Urban Village, this development will help the reach the City of San Jose target of 25% of all new homes being affordable across the Urban Village Plan Area. The housing development is close to transit, just 15 minutes walk from the Snell VTA Light Rail Station. The first floor of the building will include commercial, office, and community space, including needed health and wellness services available to residents and the broader neighborhood. The Blossom Hill Senior Apartments will create urgently needed affordable homes, which are essential as we work together with the County and other cities to meet the goals of our shared Community Plan to End Homelessness. Show your support for this initiative! Join SV@Home and Destination: Home’s Housing Ready Communities initiative in supporting this important development that will house some of our most vulnerable seniors. There will be updates soon about how you can help, including writing letters to the San Jose City Council and speaking up in person for affordable housing at upcoming meetings! For more information about Supportive Housing and the Housing First approach to addressing chronic homelessness in our communities, check out Destination: Home’s Housing Ready Communities initiative page!